Here we are, ready to start our very first retreat! So exciting. This is going to be an adventure. It’s not a formal class. Yes, there is a plan but it’s sort of loose. We invited Karen Hennessy the creative genius to come for the weekend. She designed a fun new piece just for us. I had the fun of stitchguiding it. 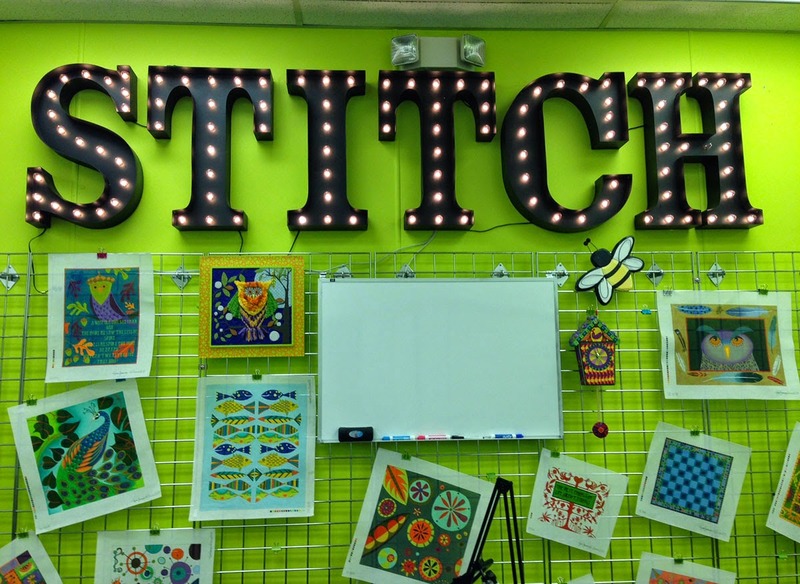 The ladies who have signed up, are in for 2 fun filled days of stitching and relaxing and shopping and creating all within the store with the lime green walls. We have a fun surprise, we embellished the classroom with a light up sign. Lime green walls needed to be kicked up a notch don’t you think? The kits are packed and ready to be unveiled. Don’t you just want to know what’s in them? 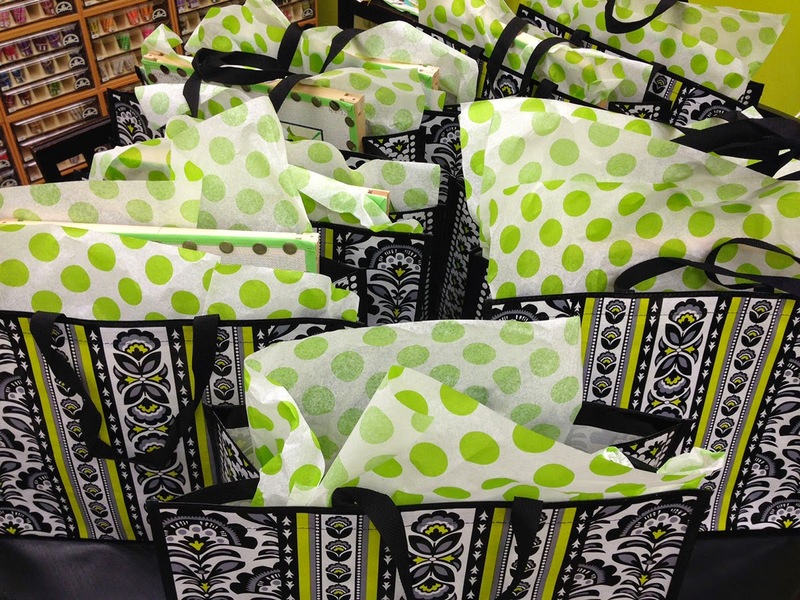 These are the class kits. 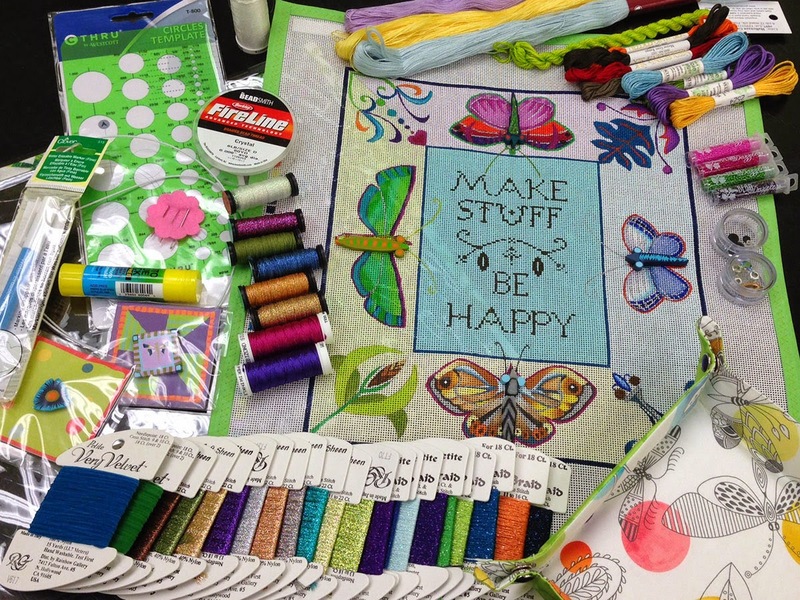 There are so many fun threads and supplies in these kits. Love them! I’ll tell you a secret. I embellished the canvas with touches of vintage swarovski crystal. OOOH! These are very limited edition kits. I can make just a few more kits with the crystals. When they are gone, they are gone. You will still be able to get the canvas, guide and kit but no more crystals. The crystals will be replaced with beads. If you are interested, the complete kit with everything as shown below (except snap tray and magnets) is $586.00. Give us a call to reserve yours now. Ok, we’re about to start. I’ll post more pictures after the class is over so you can see what this gem evolves into. « Previous: Leaves are Falling! I wish I was there too! Boy, do I? Hey, that snap tray fabric looks familiar! That's in my stash. I hope you all had a great time. Can't wait to see action shots.